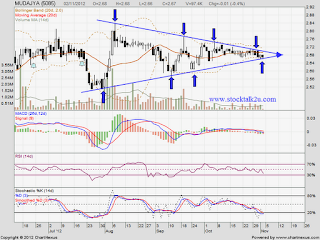 MACD moving toward negative region, downtrend stock. Due to uncertainly, it would be better wait for break out confirmation. If break up, bull run will kick off. 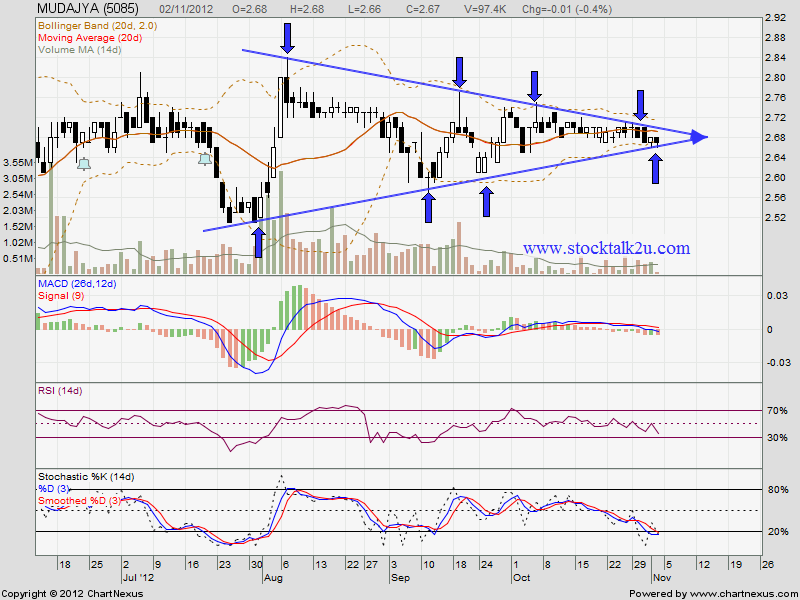 However, it break down the support, potential facing high selling preasure.